The drive from Skagway to Denali is a long 14 hours. It is a beautiful drive through the Yukon and parts of Alaska, but still long. Twila was with me for the drive and that makes it go by faster and not seem as long. When we got to Denali we set up camp and got ready for the next week of looking for moose and other animals in the fall. Before we arrived it had rained every day and for most of the days. Out photo friends who were already there were very tired of the rain and ready to get out and go hiking. We didn’t hike our first day as we were still tired from the drive, but we really didn’t find much just driving the road. It was nicer the next day and we were ready to hike. There is an area where I know caribou to be at more than other places, and as we were hiking to it one went running by us. It had no intention of stopping and ran right by us. We found another caribou not too much longer afterward and it was much calmer. We didn’t get to spend too much time with it as a fly irritated it, but before it left we were able to capture it with Denali behind it! The moose weren’t really cooperating and the fall colors were late to arrive. That happens all the time in nature, as we can’t control how and when things happen, we just have to be there when it does. We were seeing moose, but only small males and a few females. There was an area I really wanted to hike to and check out, but I had never been there and it was a long hike. After not much success elsewhere, Twila and I decided to do the hike. It was well worth the hike! It was the best day we had with moose. We ended up finding a couple of nice bull-moose in an open area and the fall colors were better in that area too. After spending time with them we kept hiking and ended up finding another nice bull moose. 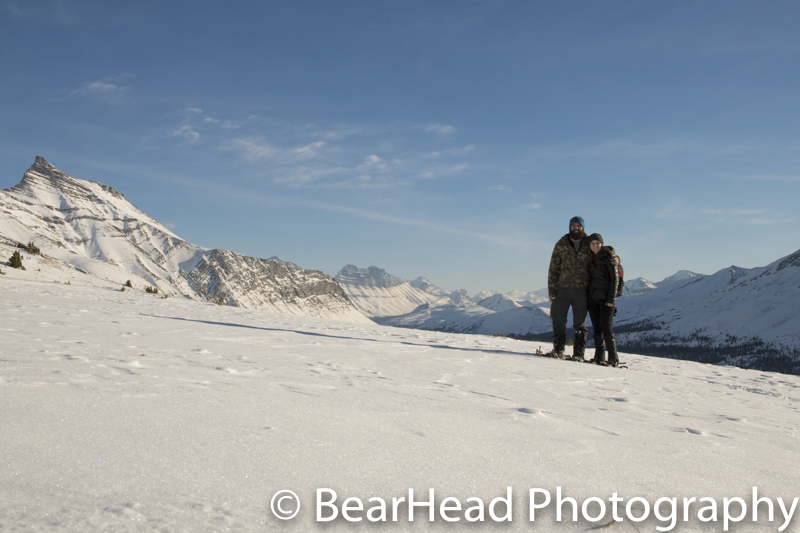 We really did hike all over the place, and hiking in the tundra is hard and tiring, and it was fun finding different moose and getting great photos! We were tempted to hike out to the same place the next day, but our legs were very tired and it was raining. 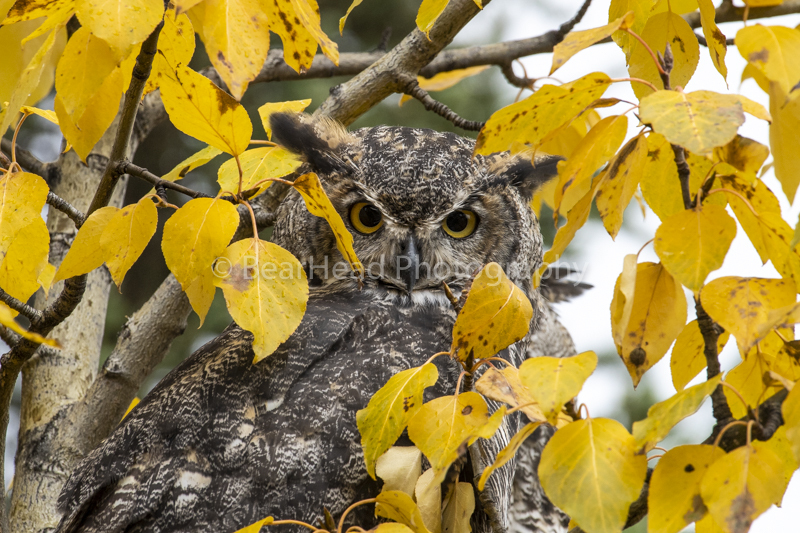 It ended up being a great decision not to hike, as some friends of ours found a few great horned owls and a couple of them sat in a perfect yellow fall tree! 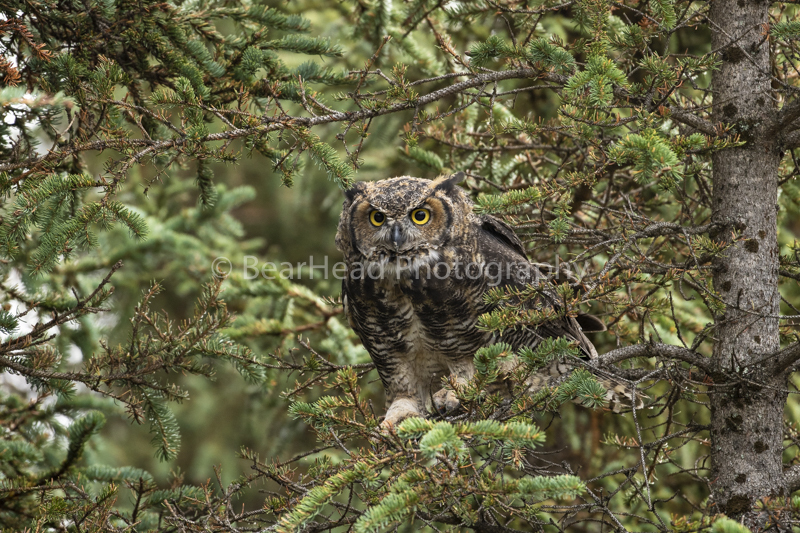 The owls were awesome and I had never gotten to photograph great horned owls in Denali before. And that they decided to sit in the one yellow tree in the forest was even better. Overall there might not have been tons of action going on for our trip, but we found and had some incredible moments. The day after the owls we really didn’t find anything, but that all changed late in the day. A mother and baby lynx!!! The tundra makes it very difficult to photograph a lynx because they disappear immediately in the tundra. After numerous attempts and lots of trouble to continue finding them in the tundra, I had one opportunity to photograph one of the kittens and got it! I, of course, wanted more but getting any shot of a lynx kitten is awesome! The more years I am in Alaska, the more and more I try and go to new places and have new experiences. The day trip I went on after Lake Clark was one of those trips. Having been in this area before, I knew I hadn’t gotten some photos I wanted, and planned the trip in a way that I would hopefully be able to get more of the photo opportunities I was looking for. We left early in the morning, and the sun was out and we had nice morning light! On the coast it is often cloudy and rainy, so having the sun out was a nice bonus. My main goal for the trip was sea otters, because I wanted more great shots of them. We were able to find a mother and young otter first thing, and it was great! They put on a good show for us before we moved on to larger animals. The area we were in also has whales, and I knew we would be able to find some on our trip, but I didn’t expect to get to see what we did. At first there were a few humpback whales in the same area, and then they started to bubble feed! Watching humpback whales bubble feed is awesome. Bubble feeding is when a group of humpback whales swim in a circle around a pod of fish and blow bubbles to confuse the fish and then they all come up from above at once and eat a lot of fish at one time. You never know where they are going to come up at, and that is what makes photographing whales so hard. My arms get tired when photographing whales because I have to be ready at any moment and that means holding my camera up all the time. The whales were in a great spot, because there was a glacier in the area. We tried for a long time to get them lined up with the glacier, and we got a few shots, but because you never know where they are going to come up at it is hard to position the boat in the right spot. But that’s what makes it fun and the photos that much better when everything comes together. We did get to see a few whales jump all the way out of the water, and that was also exciting. I did have a new experience on this trip that I wasn’t expecting. I’ve gotten to photograph bubble feeding before, but the whales were closer to the boat this time than before. And not only that, but a couple of times we could hear them directly beneath the boat! Hearing a group of whales singing and being able to hear that was incredible! It was such a neat experience. We were with the whales for quite some time, and then we went to look for more sea otters. The captain was really good and spotted a mother with a new baby in a cove. We slowly approached and were able to spend some time with them and got some nice shots of them. Then we found a group of otters later that were really playing and were so much fun to photograph. The biggest surprise of the trip, though, was a bald eagle. Our captain spotted something unusual and we went to investigate. What we found was a bald eagle swimming back to shore. I had never seen a bald eagle swimming before. Once it got to shore, we saw that it had a salmon in its talons. Salmon are large for an eagle, and it likely couldn’t fly after catching the salmon and had to swim to shore. When it got to land, it then flew up to some rocks and began to eat it. So cool! It was a full day, but an incredible day! We could do this trip 10 more times and not have as much happen as we did on this day. It is days like this that make me love my job! New Book Release! My First Coffee Table Book! 10 Years in the Making! You can purchase the book in hardcover and softcover editions from my Shop! Where to start… This summer is absolutely flying by and I can’t believe it is mid July already. Lots has happened this summer, and I’m sorry I haven’t had a chance to sit down and write about it. Opening the gallery is always a big task and it took a long time to get everything exactly the way I wanted and running smoothly. 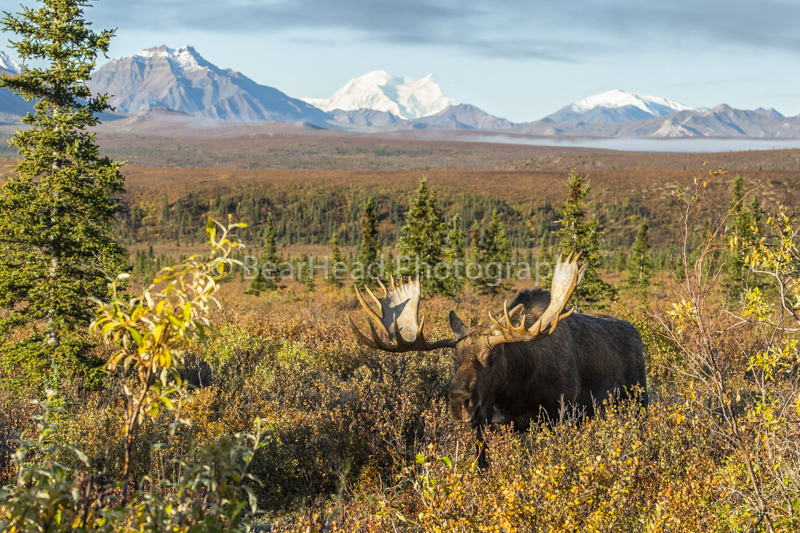 I spent most of May at the gallery, and then in mid June I left to go to Lake Clark and lead my two workshops there. While on my 14-hour drive to Anchorage, I was ready to stop at night and continue the next day, but I drove a little further, and my goodness am I glad I did. Around 10 p.m. I saw something cross the road a good ways in front of me, and when I slowed down in that area to see what it was, I spotted a lynx! I have been looking for lynx very seriously the past few years and my only sightings were very brief. So I jammed my car in gear and jumped out. It sat there and looked at me for a few seconds before getting scared by some trucks driving by. It was gone way to fast. Thankfully, it didn’t keep running and stopped on the edge of the woods further away. It slowly came back out and allowed me to photograph it for a while in perfect light! 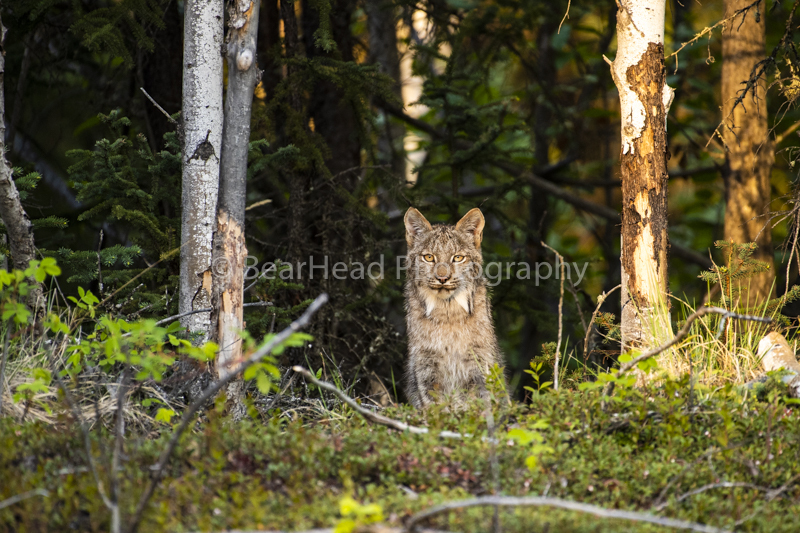 Not only was I photographing a lynx, but it was in perfect light! It truly was an amazing experience and one I will never forget! So glad I decided to drive a little further that night! The next day I got to Anchorage and did a few errands before meeting with my workshop group. 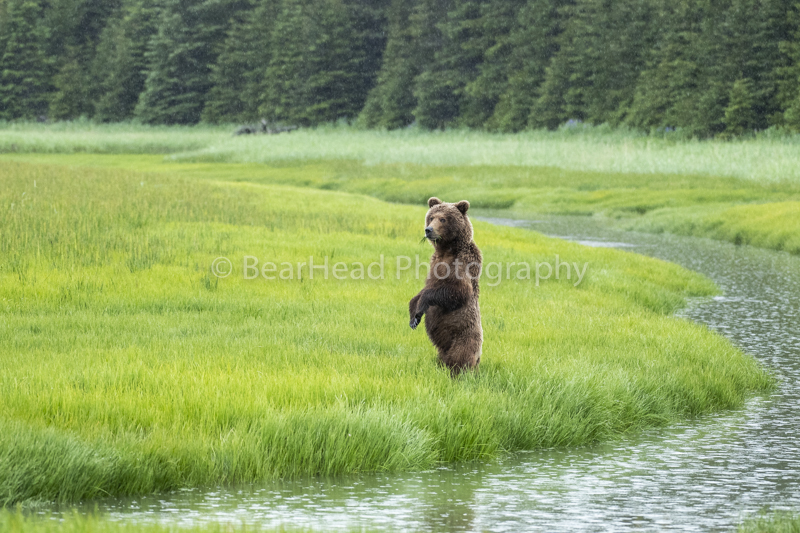 I was excited to get back out to Lake Clark and photograph the bears. On June 15 we left Anchorage at 8 a.m. and flew to Lake Clark National Park. It’s always exciting being back in Lake Clark, and I love just being there photographing and being off the grid. 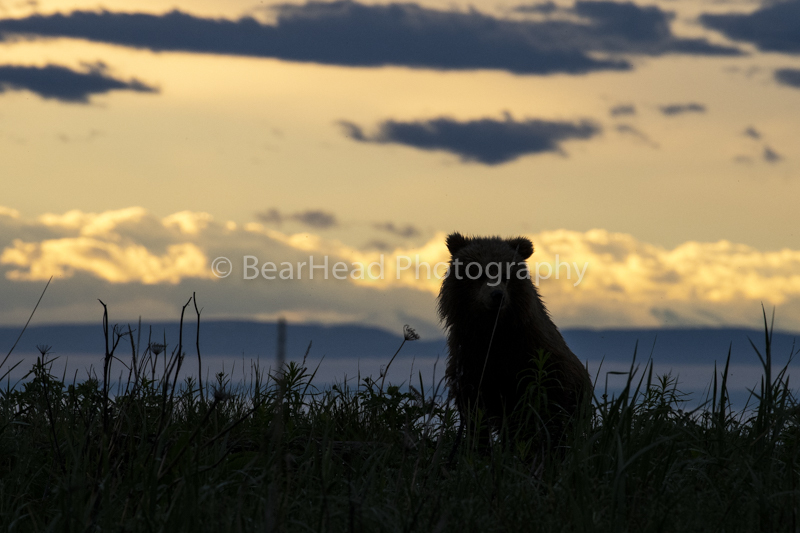 Soon after we arrived we were out photographing the bears. Showing a new group the area and the bears of the area is always a good time. Throughout the course of the next 5 days we had some really great photo opportunities. It did decide to rain on us a lot that week, but I had a great group who wasn’t deterred by the rain and we still went out the good majority of each day. 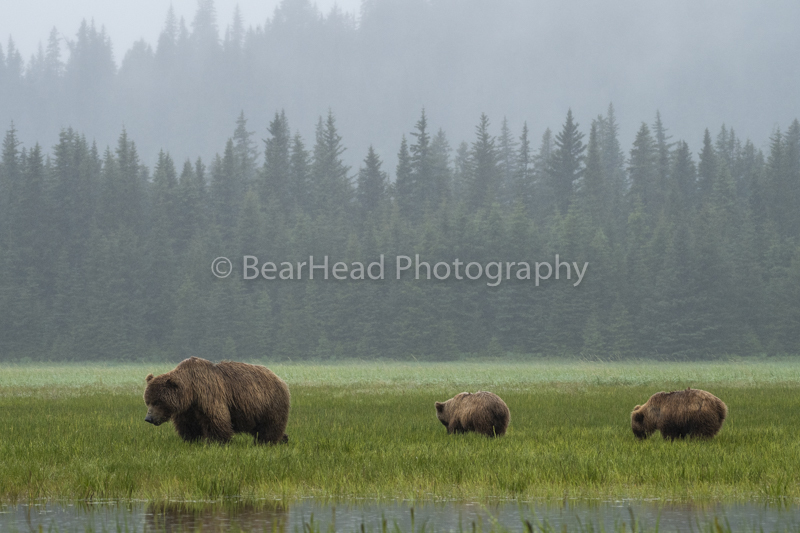 I was proud of my group, and we were rewarded by the bears for being out in the rain. Watching a mother bear and her yearling cubs on a daily basis never gets old. We even took an afternoon to go photograph puffins, and we had a great time doing that. And when we came back on the boat, the mom and cubs greeted us and put on a show just off the boat on the shore! I had never gotten to photograph a red fox there before, and a couple foxes gave us a few opportunities. There are too many things to write about, so here are the photos from my first week that show what we got to see! On June 20th, my next group arrived and my first group left on the same planes. My wife, Twila, was on one of those planes and I was so excited to get to show her and the others the bears of Lake Clark. The rain still didn’t stop for the first couple of days of this week. I was done with the rain and ready for it to be over. It finally did on our third day, and it was nice to not have to wear a rain jacket or put a rain cover on my camera. The bears of Lake Clark never get old to me. 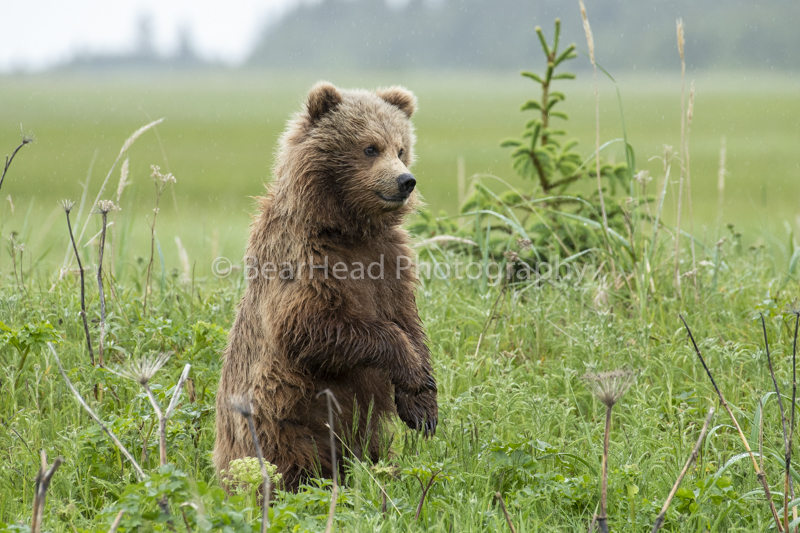 Getting to be out in the wild photographing bears in their natural environment in a close proximity is amazing! We never know what we are going to encounter when we go out, but almost always it is good. On our last evening we were treated with a scene out of a movie, except we got to watch it unfold. The mother and her two cubs kept moving along a little creek, not noticing a young male. One cub got to close to the male and it moved toward the cub in curiosity. 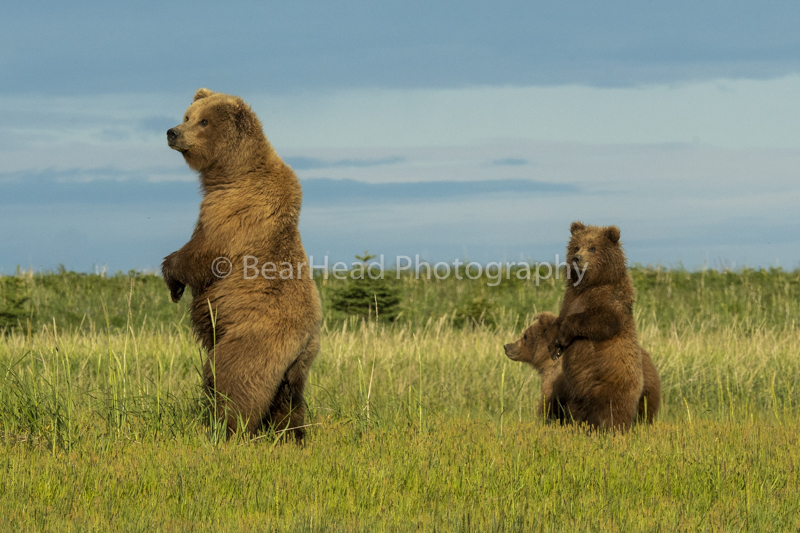 Once the mom and cub saw the other bear, the cub took off and didn’t slow down for a very long time. The mom would run and stand to see if the male was still coming, and it was, so the family would run some more. The family made it safely away, and was quite the scene to get to see and photograph! The wider shot of the scene is Twila's! She did a great job capturing the moment! The next morning we flew back to Anchorage and then a few of us took a trip to photograph sea life the next day. I will post those photos in the next blog. Lake Clark was truly a great time with both groups and I am already looking forward to going back next year! In late January I headed to Yellowstone. I spent a few days in the northern range of the park scouting before my workshop began. I didn’t come across too much on those days, but I did see a number of animals, just not in good photo range. The best opportunity I had was with moose. 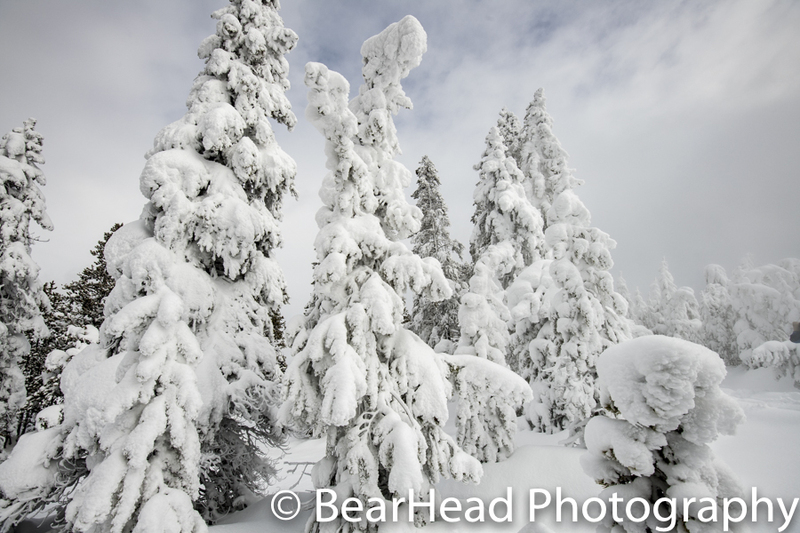 On the afternoon of January 27th I picked up my photo workshop clients and we headed to West Yellowstone. The next morning we went in early looking for a wolf pack we had heard was around, and after a couple hours of searching we found them sleeping. Not exactly what we wanted, but we could see a number of the pack on the hillside asleep. We left and went to a geyser area close by and shot some beautiful trees that were heavily covered in hoar frost. The trees looked like a ghost forest. We went back to the wolves, but unfortunately they stayed asleep until we had to go. The next morning we searched and searched for the wolves, and we found tracks, but no wolves. After looking for the wolves we went to the Grand Canyon of the Yellowstone and Hayden Valley. Our coach got stuck in the middle of the road because of a snowdrift in Hayden Valley, so we had to turn around and headed back to the canyon. After waiting and looking for otters, we were finally rewarded and one put on a show for us for a long time! On our last morning of the snow coach, we headed to Old Faithful to shoot geysers and hot springs. It’s always neat showing people the thermal areas for their first time. It’s just like nothing they have ever seen before. We also got to photograph bison and coyotes. In the afternoon we tried one more time for the wolves, but the weather was so bad and windy that we had to turn around. For the next four days we were on the northern range. There is a lot of wildlife on the northern range and good opportunities. 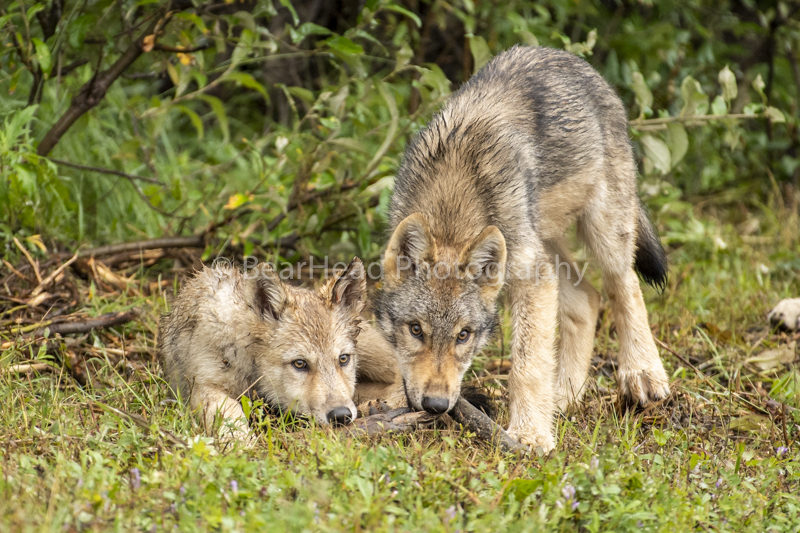 The wolf pack we had been tracking made its way to the northern range. One morning we found tons of tracks on the side of the road and lots of bird activity, but no wolves. We were getting closer, but still hadn’t gotten any wolves close enough to photograph. Over the course of the four days we had great photo opportunities with river otters a few times, moose, bald eagles, big horn sheep, red fox, coyote, bison and elk. We were really seeing lots of wildlife. The wolf was eluding us though. On the last morning, in a different area of the park than the pack we had been tracking, we heard wolves howling back and forth, so we knew they were close. We went to different areas to try and see which area the howling was the loudest from, and hoped for our opportunity. On one of our drives to listen, a black wolf crossed the road not far in front of us and into an open meadow. Everyone got out and got their wolf photo! It felt great to finally get a wolf! On the morning of February 3rd I dropped everyone off at the airport, and then I flew to Arizona. I met Twila there for a week trip, and then we went back to Yellowstone together. We spent around a week in Yellowstone photographing and visiting friends. In the park one of our favorite encounters was with a red fox. We waited and waited as the fox sat patiently in the snow, and then it jumped and dove into the snow! I was happy Twila got to see and photograph a fox doing that behavior. We then proceeded to follow it as it walked in the snow close to the road for a long time. It was fun walking along side it as it hunted. We saw lots of wildlife, but the red fox was our favorite. After seeing a number of friends around Yellowstone we headed up to Canada. Over the next number of weeks Twila was busy getting ready for a couple of her shows, and I was busy helping her and preparing for the gallery this coming summer. 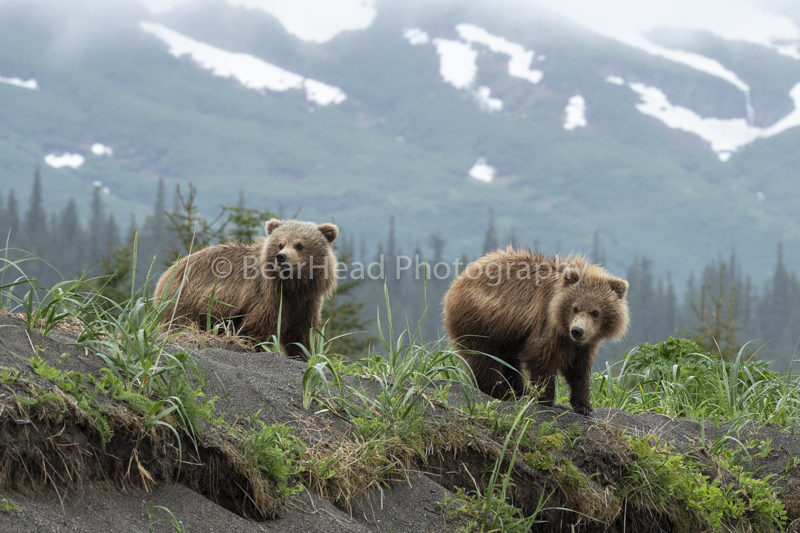 In early May we headed to Alaska and set up the gallery for my third summer with the gallery! Right before heading off to Denali we finally had a clear day in Skagway. It has been a very dreary summer in town and the sun hasn’t shown itself much. It was so nice, I decided to go on a flight seeing tour of the mountains around the area to get some glacier photos from the air. What a great decision! The flight was incredible and the views were even better. I’ll let the pictures do the talking for me. On August 11th I left Skagway to drive to Denali. It’s a very long drive, 14 hours, and I picked up my friend Tim Auer in Anchorage to take with me. We camped in the park on the 12th, and then began photographing on the 13th. With my special photo permit we could drive anywhere in the park, which is very nice. I love spending time further back in the park where you can get animals with incredible landscapes behind them. But the terrain is so large that it can be very difficult to find the animals. Our first day was slow and we hardly saw anything worth taking a picture of. We found a nice moose on the morning of the 14th, but it didn’t cooperate and left quickly. Denali Mountain did come out for a little, so we got some nice scenic shots with the mountain, and I was also glad Tim got to see the mountain. The next day we found some nice caribou in the morning and spent a long time with them. We still didn’t have anything great, but that evening we found some nice moose that cooperated. We didn’t know it when we went up to photograph them, but one had a split antler on one side and basically had two antlers on that side. It was really neat and different, and we had a good time photographing those two moose, and they were both big. I had never seen a short-eared owl in Denali before this trip, but we sure found a lot of them. Most of them we only had close enough to photograph in dark light, but it was still fun trying. The sun didn’t show itself much for us either, but on the evening of the 16th we had nice light and finally found a caribou to photograph in the light. We got some real nice photos of it on a ridge with mountains behind it. Our last day on my permit was the 17th, and that morning we found a mother bear and her two cubs on a caribou carcass. They weren’t real close, but we stayed most of the day and watched and took photos. Tim flew out on the 18th from Anchorage, and I killed time before Twila flew in on the 20th at my friends Ben and Jen. It was fun catching up with them! Once Twila flew in we went back to Denali because I had another permit. This was Twilas first time in the park on a permit, and I was excited to show her the park in this way. While we were setting up camp on the 21st we noticed a northern haw owl, and we got our cameras out and followed it. We got some real nice shots and was a great way to start our week! We got up early, 4 am early, and headed into the park. Tim and I got up this early every morning as well, so I struggled a little as we headed into the park. I almost even pulled over to take a quick nap because I was so tired, but the photographer in me wouldn’t let me stop because I wanted to see what was around the next corner. On the last corner, literally, and at a spot I have gone to for 9 years since I first saw moose there and haven’t seen any since, there were three moose! We were immediately wide-awake, and I was incredibly happy we didn’t stop sooner to take a nap. You just never know where and when you will see wildlife, and that is what makes it so exciting and worth being sleep deprived for! There were two females and a small bull in Wonder Lake with some of the mountains showing. Denali wasn’t out, but enough of the mountains were to create a dramatic shot. I knew we would be here as long as the moose were. It really was incredible seeing the moose there because I have waited since 2008 to see moose there again. The moose stayed for a long time in the lake eating grasses from the bottom of the lake and gave us many different opportunities for great pictures! What a morning! That evening back at camp we found a northern hawk owl again, and watched it for quite some time. I was giving up on finding it again in the woods, but Twila went a little further just in case. Sure enough, she found it on a branch at eye level only a few yards away. It didn’t fly away, but just sat there and looked at us! It was one of the coolest experiences I’ve ever had with an owl to get to be that close for over 5 minutes and have an intimate experience with it. What an incredible day! 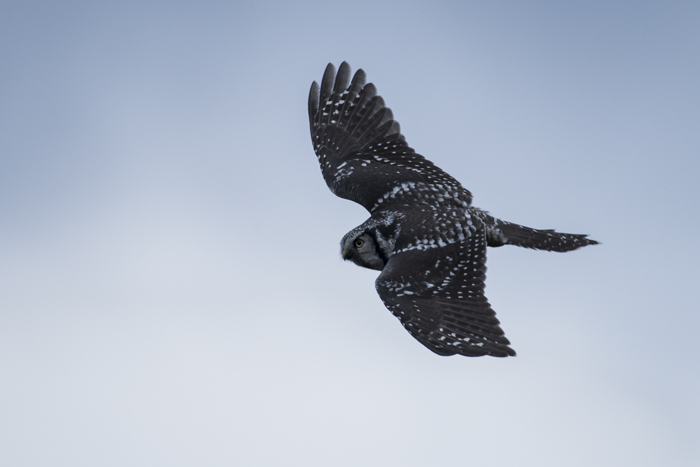 On the 23rd we really didn’t find much, but we did find a few more northern hawk owls. It’s so crazy that we are seeing so many, because in all my years in Denali I’ve only ever seen two or three. But it’s always exciting seeing owls. 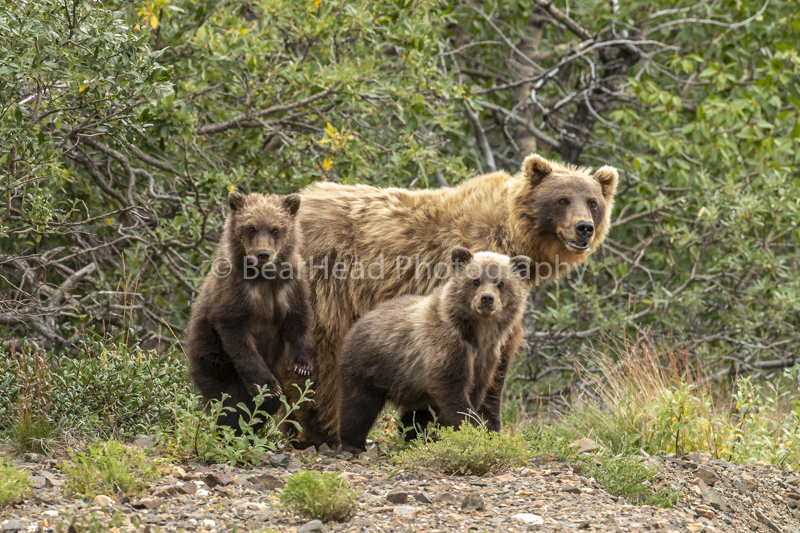 We ended up spending the large part of the 24th with a grizzly bear and her two cubs. They stayed roadside a long time and gave us some nice opportunities. I kept looking for the moose with the split antler, but didn’t find him again until the 25th. He was a very long way up a mountain in very thick brush, but I wanted more pictures of him and we went for it. The effort was worth it as we found him and he was in a spot we could photograph him in. We may never see a moose like this again, so I really wanted more photos. We got some nice ones and barely got back to the car before dark. We hadn’t been seeing many moose in the area I really wanted to see moose, so I almost didn’t drive all the way back to that area on the 26th. But my wildlife senses told me too, and I’m glad we did. We found a couple small bull moose, and yes they were small, but they were together and they ended up going to a pond and being reflected together. We waited and waited for this moment and hoped they would go to the pond, and when they did it was very exciting. There is a lot more to wildlife photography than luck! Twila and I left Denali on the 27th and I dropped her off at the airport in Fairbanks, and I continued driving all the way back to Skagway. I didn’t make it all the way to Skagway because it is so far. 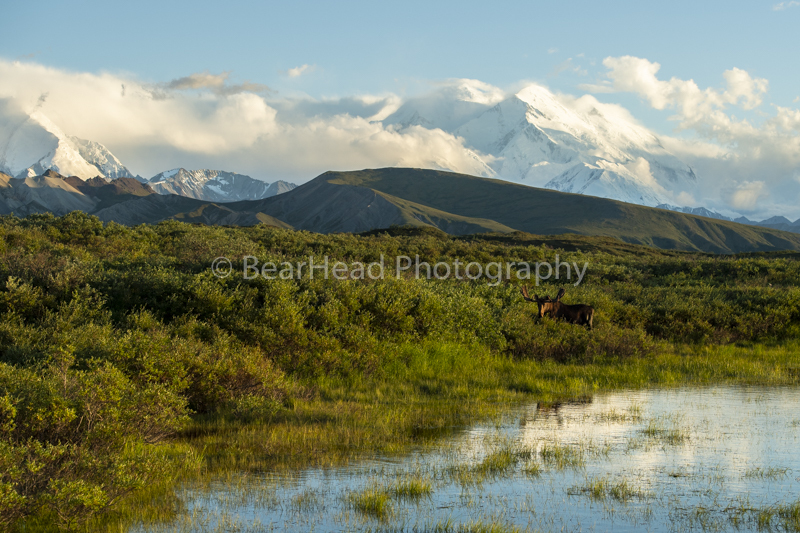 It was sad to drop her off and be leaving Denali, but I had to get back to the gallery. My cousin William covered the gallery while I was gone, as my other employee left to go back to school. After William left on the 30th I was at the gallery by myself until closing on the 14th. It really is hard to believe the summer is already over and to be packing things up. Where did it go? I had a great time and the gallery ran smoother than last year, which was great, but I was ready for the summer to end and to get married. I left Skagway on the 15th and headed to Canmore to get ready for our wedding on September 31st. Somewhere in northern BC that night I saw the best northern lights of my life as they danced and danced across the whole sky!